Of course we know that birthdays only come around once a year. When you become an adult, they become less important because they remind us of getting older. Yet, children look forward to getting older. They enjoy celebrating their birthdays. It's not all about presents and gifts; it's about making memories that will last a lifetime. 1. 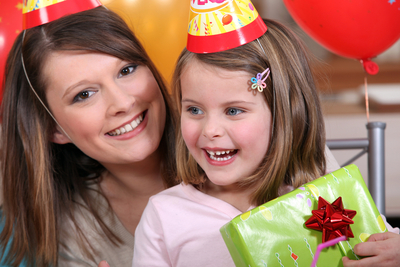 Themed parties are one way to make your kids' birthday unforgettable. One of the greatest challenges is creating something that is unique and enjoyable. You've probably had birthday parties before. Your kids have been to their friends' parties before. 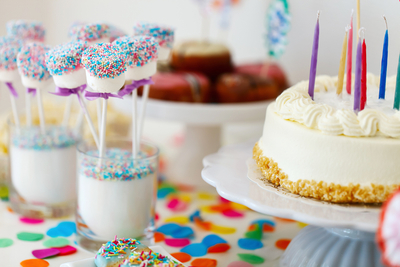 So how do you make a birthday party stand out? Focus on what your kids are interested in. What cartoons do they watch in the mornings or afternoons? You can have a super hero themed party where you hand out capes and masks to your guests. What do they want to be when they grow up? You can have an astronaut themed party where you decorate your home to look like the surface of a distant alien world. Venture outside of your comfort zone to create a memory. Kids love to explore and take trips to new places. You can take them to a water park or science museum. You can bring along a group of friends or just make it a family affair. The goal is to create experiences that will generate lasting memories. While you're out on your little adventure, take pictures of your kids. Allow them to exist in the moment, but preserve the moment so that you and your family can revisit them at a later time. 3. Gifts and presents can fall flat if they don't have some significance. Your kids want interactive and trendy gifts. They'll react negatively if you don't consult with them first about what kinds of gifts they want. Also, you might want to stay away from the cheap plastic stuff that will break before the month's end. One unique gift idea is Tiger Tribe toys. These gifts focus on inspiring a child's sense of creativity. This company has a wide variety of toys for boys and girls that are interactive and durable enough to last the test of time. 4. This might not be obvious, but spending time with family is just as important to your children as it is to you. They just express themselves differently and have different expectations about family time. One of the best ways to make a memorable birthday experience is to include family members that your kids don't get to see on a regular basis. Does your kid have a favorite cousin or uncle that they never get to see? Be sure to invite that family member to spend some quality time with your kids for their birthday. 5. 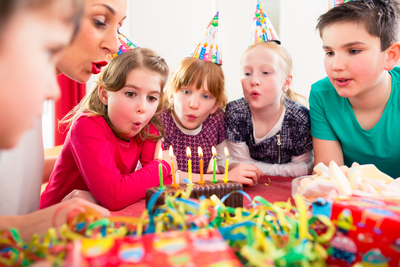 You can make a memorable birthday experience for your children by allowing them to take an active role in planning the day. Ask them what activities they would like to have or what adventures they want to embark upon. Let them help in the kitchen, making birthday treats or cooking their favorite food. This way, you ensure that your kids' wishes are being fulfilled because they've taken an active role in bringing them to reality. Don't push them outside of their comfort zones, but invite them to make decisions of their own.